Note: I was provided a free copy for review purposes, with no expectation of a favorable review. If you are not a pet lover, I would say this is probably not a story for you. However, if you have a soft spot in your heart for our furry friends, you will surely enjoy this. It follows the true story of a woman who adopts a cat for her youngest son to help him cope with her impending divorce. Once that first cat enters the home and finds its way into their hearts, she (and her grown children) begin adopting more animals. Despite her objections, she agrees to be the family animal hotel when her kids are out of the country or otherwise unable to care for their pets, as her ex is allergic. I couldn't help but smile as I read about these animal's quirks, tussles for dominance, and sweet shows of affection for the humans who they've allowed to share their space. It brought back a lot of memories of my own childhood pets, as well as the ones I have now. While this is not a perfect book ( dare I say purr-fect?) by any means, I have to give the author 5 stars for her writing voice. 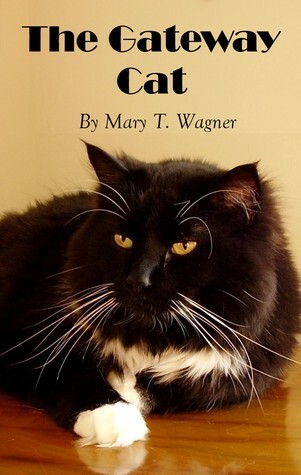 Even if you are not an animal lover, specifically cats, to begin with, I know you can enjoy the predicaments this devoted mother finds herself in and the tough decisions she must make. Not to mention the consequences of those decisions!I appreciated several of her special terms, including Gateway cat, Spare cat and serial cat acquisition.I empathized each time she uttered those words "Of course, it couldn't last" and when she took The Meatball for "only" a couple of weeks, um, years? And the store bills and internet acquisitions just because it would MAYBE make the fur child happier. (Note to future new kitten owners, like small children, often they find the empty box and wrapping paper better than the gift.) Her descriptions of walks with Lucky and Meatball are preiceless.This was a fun break in my day and made me smile. Okay. Not a book, more like a private diary. Mary T. Wagner - "It's never too late to make mid-course corrections!" That's the mantra of Wisconsin author and photographer Mary T. Wagner, who has been described as the Midwest's answer to Carrie Bradshaw and favorably compared to humorist Erma Bombeckbut "in sexier shoes." Wagner is a former newspaper and magazine journalist who changed careers at forty after a serious accident, going to law school and then becoming a criminal prosecutor. After living for several decades in rural Wisconsin, drawing inspiration for writing from daily walks in the countryside with her dog and cat, she has now settled in "coastal Wisconsin," close to Lake Michigan where the sight of the horizon on the lake never fails to inspire.Despite the career shift to law, Wagner never could step away from the keyboard entirely, and since returning to writing has published three award-winning essay collections: Running with Stilettos, Heck on Heels and Fabulous in Flats. Featuring ordinary moments limned with extraordinary insight, Wagner's slice-of-life essays first appeared on her signature blog, "Running with Stilettos," as well as other websites. Life experience includes being the mother of four, and a former girl scout troop leader, truck stop waitress, office temp, judicial clerk, and radio talk show host. She counts both wearing spike heels and learning to use a cordless drill and chainsaw among her "late blooming" discoveries, and would be hard pressed to surrender either her favorite stilettos or her power tools.